My daily routine has been getting disrupted daily. Nothing major, it just can get annoying especially in the morning when I prefer to do some of my writing. Since ordering lavender essential oil, and applying it NEAT (topical without dilution), I feel my mood has had an extra "lift" in the morning. Lavender essential oil has a calming effect on me. The occasional irritability I experience has been smoothed out leading to a more productive morning. As I mentioned in a previous post, I suffer from occasional sleeplessness. I'm able to fall asleep but can't stay asleep. 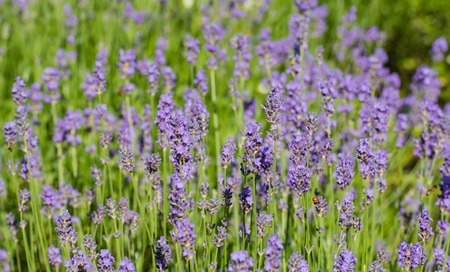 For 5 nights now, I've applied lavender essential oil on the tip of my nose, bottoms of my feet and on my pillow. Lavender essential oil (I use a therapeutic grade oil), has helped me combat my occasional sleeplessness. With a good night's sleep, I'm able to get a general state of well-being. If you're interested in learning more about lavender essential oils and how to save by buying it at wholesale price, please fill out the "contact form" on the upper right of this page. I'll be glad to shoot you back some info. We can even chat via Skype or Google Hangouts. Another way I use lavender essential oil is through a diffuser in the car. I have a portable USB-powered diffuser that I take with me in the car. We live in a mountainous and remote region in North Central Washington. Winter driving can get hairy at times. Last Saturday, I drove to a town about 1 to 1 1/2 hours from home. My previous experience driving into the same town involved "white-knuckles" on the steering wheel. This time though, I had lavender essential oil permeating the whole car. I found my emotions were soothed all the way and back. Arriving home that night, I had no problems transitioning into my chores. In the past, I would crash into the couch and start rubbing my neck and shoulders that got tight and tensed during the drive. I was so delighted that I didn't have to go through that! One of my dogs whom I adopted as an adult, exhibits some form of dog anxiety time and again. So, I've started to let him sniff the bottle cap of my lavender essential oil. Since my dog understands the command "smell", he has no problems sniffing the bottle cap. It's too early to say how the lavender essential oil has benefited him but I'll keep you posted. I used to buy lavender and other essential oils from the drug store. Now, I'm learning that not all essential oils are created equal. The extraction process vary and the source varies a great deal too. I'm finding out that a therapeutic grade essential oil is able to give me wellness results I'm seeking. 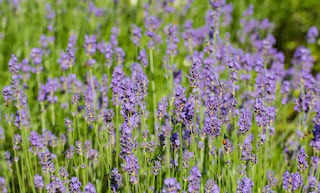 Do you use lavender essential oil? Are you happy with your purchase? Please use the "Contact Me" form on the top right of this page if you would like some info on how to buy therapeutic grade essential oils at wholesale prices. I'm just a newbie in the world of essential oils but I'm having fun learning and experiencing the wonderful scents. I'm tickled that I'm saving money buying therapeutic-grade essential oils for my household! I would love to hear about your experience with lavender or other essential oils! Talk to you soon. We offer workshops and free classes to teach and empower individuals how to take charge of their bodies and health care goals. We also offer "make & take" classes wherein you'll work on different projects and get introduced to the world of essential oils. Please "contact me" through the form on the top right of this page to schedule a free introductory class or attend one of our workshops. The classes are offered online and tailored to your own health care needs. We'll chat via Google Hangouts or Skype. 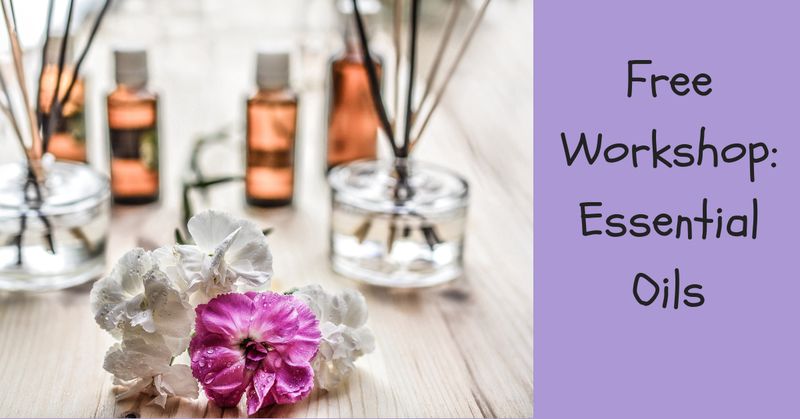 Before the class, we'll send you a sample of our essential oils so you can experience the "world of essential oils." Samples are sent via snail mail and are optional.